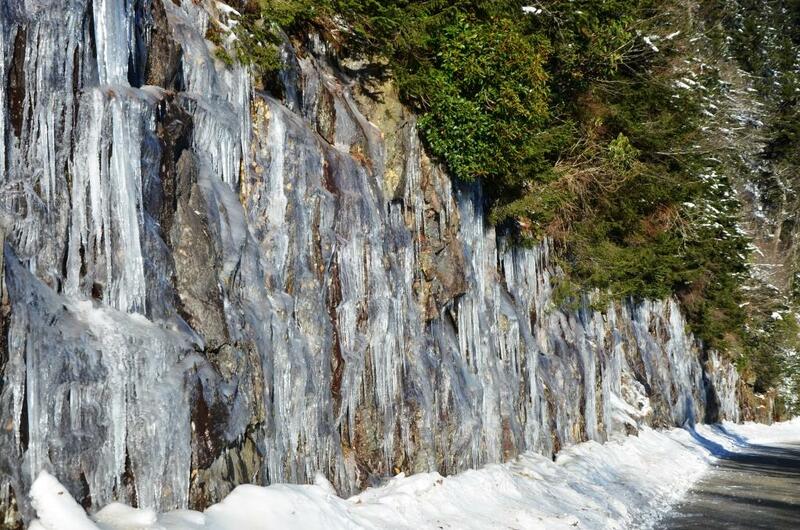 Clingmans Dome weather and forecasts for the Great Smoky Mountains National Park are available through the National Park Service by phone at 800-436-1200 extension 630. Clingmans Dome weather can vary greatly from the surrounding valleys. Clingmans Dome weather can vary dramatically from the surrounding areas. Expect temperatures that are potentially 20 degrees cooler than nearby cities such as Gatlingburg, TN or Cherokee, NC. The breeze at the summit of Clingmans Dome is frequent, making it feel even cooler. Even on a warm summer day, bring a sweatshirt or jacket to ensure a comfortable visit. Avoid Clingmans Dome weather from impacting your enjoyment of the panoramic views from the highest peak in Great Smoky Mountains National Park by expecting the cool and breezy conditions at the summit. Clingmans Dome weather can vary dramatically from the surrounding area. Twenty miles and 5.300 feet in elevation gain marks a dramtic change in weather. Clingmans Dome (6,643′) is about twenty miles from Gatlinburg, TN (1,289′). The temperate is typically twenty degrees cooler at Clingmans Dome than in Gatlinburg, TN. Clingmans Dome also received about twenty more inches of precipitation each year than Gatlinburg. Expect Clingmans Dome weather to be cooler and possibly rainy from the surrounding communities. Available in Paperback, Kindle and Audio. The Fraser fir found in the higher elevations of the Southern Appalachians, including atop Clingmans Dome, is a popular Christmas tree, and was the official 2007 White House Christmas tree. The spiral observation deck at the summit of Clingmans Dome was designed by architect Hubert Bebb, and construction was completed in 1959. Clingmans Dome is the highest point along the 2,100 mile Appalachian Trail. The elevation of Clingmans Dome is 6,643 (2,025 meters). Copyright © 2019 Clingmans Dome Revealed. All Rights Reserved.